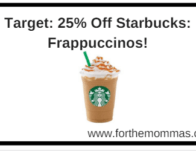 Target: 25% Off Starbucks Frappuccinos! 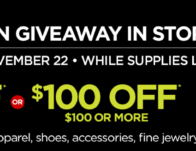 Ibotta’s Newest Rebates –12/23/16! Save on Those Groceries ! New Organic Valley Coupons! Save up to $8.00!